Preferences -> NPCs -> Rare -> Detection -> Continent to disable entire zones. Ah, thanks, that fixes it. I can ignore the occasional "rare" on Broken Isles that I haven't killed with an alt, but the popups for Broken Shore are too numerous. I'll dig through this thread for your .overlay fixes. Did Curseforge fix this yet? Hi - I've read through this whole thread to make sure I have an understanding of how this works now and I'd like to confirm I've got it right. Hope this is an appropriate place. I'm looking to camp Aeonaxx in Deepholm while I'm at work (have WoW up in the background and listen for the blaring noise while doing my actual job). From what I gathered, pre-MoP mobs have trouble being triggered now? It requires either a mouseover or for nameplates to register for the alert to go off. Thus, to have Aeonaxx trigger an NPCScan alert without my active participation, I need to have "Always Show Nameplates" as well as "Friendly Players" checked in the Names section of the interface (because I believe Aeonaxx starts as a mountable friendly npc) and then hope he comes close enough to my camp spot that WoW sees the nameplate so that NPCScan can do its thing. Is this all correct? Am I missing something, or overcomplicating something? Thanks for your hard work! That is correct - pre-MoP rares can only be triggered via targeting, mouseover, or nameplate detection. I'm sure that was an obvious answer to you, but it really helps put me at ease that I'm doing it right, so I appreciate your response! Getting this error message on all my toons. (*temporary) = "attempt to perform arithmetic on upvalue 'By' (a nil value)"
Read https://www.wowace.com/projects/npcscan-overlay/issues/73 for a workaround. where is the overlay module download? Any plans to include a group creation 1 click for Rares on the Found frame ? i just downloaded this addon and this is happening..
Hi! I have exactly the same problem right now. Could you please explain how do you solve it? Having a similar problem to the 2 posters above me. I'm just getting a large blue area on the map, doesn't matter the zone. I've tried uninstalling and reinstalling via the Twitch program. Thank you! That fixed it perfectly! 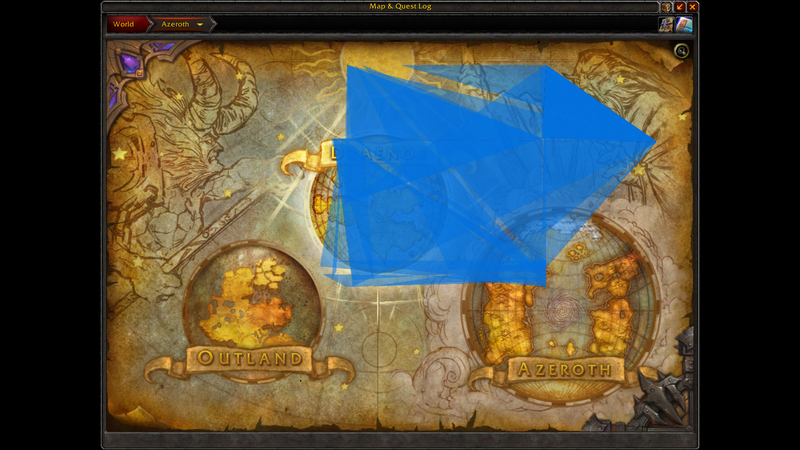 I'm studying WoW add-on programming, can you please tell me, in general, how the minimap detection works? As far as I can see a minimap icon for a rare is not a part of the UI framestack. How do you detect it? Thank you!